First African American female appointed to the Parks, Recreation and Community Services Commission of Culver City, California. This contemporary pioneer was also selected Chairman of the Baldwin Hills Conservatory. 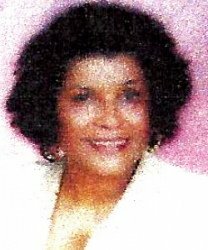 She was also the first African American Chairman of the California Probation, Parents and Correctional Association, Los Angeles, California.